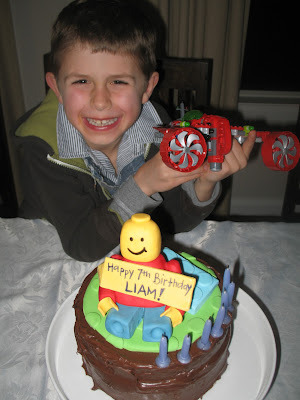 It was Liam's "official" birthday on Thursday. 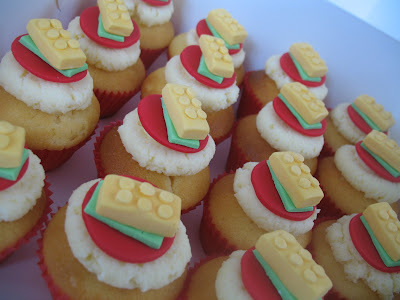 I was told that I needed to make LEGO cupcakes to take for the class - so Lego cupcakes he got! There was 30 of these vanilla cupcakes that went into the classroom. As our wonderful family were coming over for dinner and coffee to celebrate the official day, a last minute decision was made at some ungodly hour of the night/morning on Wednesday that i needed a Lego cake topper to put on his cake for the family - I am sure that he would've been expecting it!! 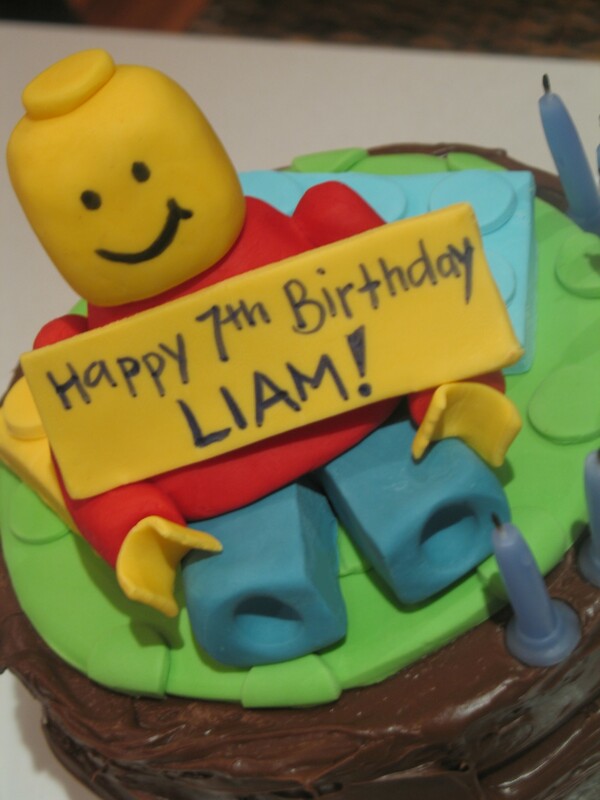 So 15 minutes later, I came up with the Lego man cupcake topper to put directly on his chocolate fudge cake with chocolate buttercream. Lego cupcakes to "build" up the appetites of the Year 1 class! My gorgeous boy with his cake. His smile says it all - worth it every time! He really does have simple wants .... and I am more than happy to indulge. Happy Birthday my Beautiful Liam!! !